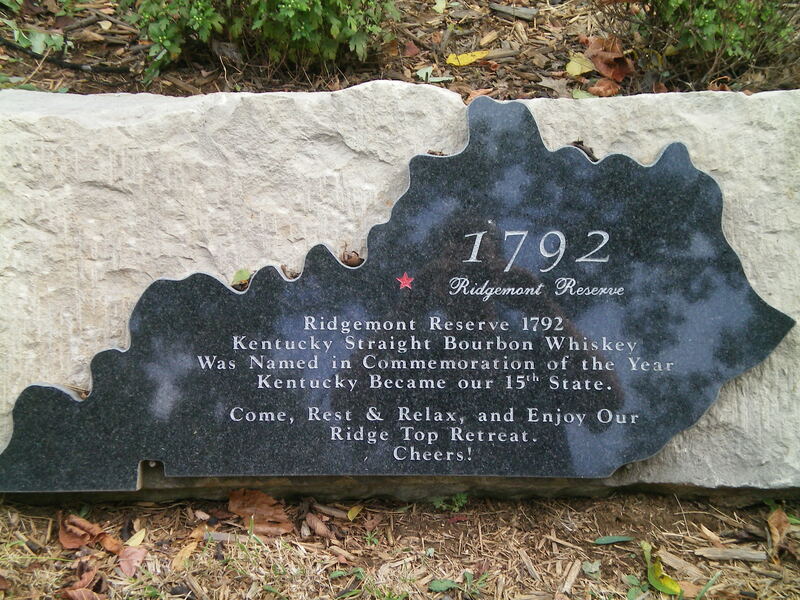 This Bardstown,KY distillery is home to the Premium – 1792 Ridgemont Reserve (8 years), the Fine -Very Old Barton (6 years) and the Noble – Tom Moore (4 years) Straight Bourbon whiskey as well to other blended Bourbons. In 1876, their joint father-in-law (John D. Willett) transferred all his interest in the company to them (well, probably it was to their wives – his daughters – but legally it was to Tom and Ben), and they began operating the distillery as Mattingly & Moore (we’re not sure whatever happened to Frenke). They made Mattingly & Moore bourbon, along with Belle of Nelson (named for John Willett’s winning race horse) and Morton’s Spring Rye, (named for the spring that provided the water for the distillery). However, in 1881 – about the time the first barrels of their bourbon were coming of age – Mattingly sold the company to a group of investors. Tom Moore continued to work with the new company until 1899, when he bought 116 acres adjacent to the existing distillery and built his own distillery there, producing Tom Moore, Dan’l Boone, and Silas Jones whiskey. In 1916 the company that owned Mattingly & Moore went bankrupt, and the distillery was acquired by the Louisville company that was their chief distributor. 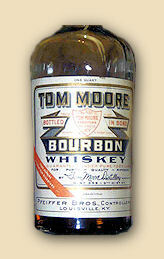 Tom Moore, himself, later acquired the property and incorporated it into his own distillery, tearing down the old buildings. The resultant site remains that of the Tom Moore distillery today. In 2008, the Barton Brands division of Constellation Brands decided to re-claim their heritage and officially returned the distillery to its former name, the Tom Moore Distillery. There may even have been plans to further exploit the heritage of Tom Moore(the brand is still one that the company produces, but only as a blended whiskey). We’ll never know, however, because in 2009 the Sazerac Company, of New Orleans, who also own the Buffalo Trace distillery in Frankfort, purchased the entire Barton Brands catalog, including their bottling facility in Owensboro and this distillery in Bardstown. And Sazerac has re-re-named it back to The Barton Distillery. Sazerac has a history of developing a brand’s heritage in promoting it and, despite restoring the distillery’s name, it would not be surprising to see Tom Moore elevated to a straight bourbon again and promoted as a premium product. They have already indicated that Very Old Barton will continue.